The man who climbed Everest (sort of) for Mend Our Mountains - Mend Mountains. Make One Million. Want to give something back to the wild and wonderful places you care about? Take a leaf out of James Forrest’s book and take on a sponsored challenge in the hills and mountains. James Forrest went the extra mile to help Mend Our Mountains. A thousand of them, in fact. Over the course of six months, he walked over 1,000 miles, ascended the height of Everest five times over, and wild camped in the hills more than 50 times as part of an epic mission to climb every mountain (okay, and the occasional hill) in England and Wales. He ticked off his his 446th summit on the roof of England last September, climbing Scafell Pike to mark the successful conclusion of his odyssey. Along the way we he raised £837 for the vital path repair projects featured in Mend Our Mountains: Make One Million. it was a great example of how a personal adventure or challenge can be combined with making a buck or two for a good cause – in this case, our appeal to raise £1 million for a range of vital path repair projects within the UK’s entire family of 15 National Parks. It’s about more than just tidying up a few muddy paths – it is about protecting the health and environmental integrity of places which are hugely important to many people. If you value the outdoors spaces you use, why not look to undertake your own fundraising challenge? 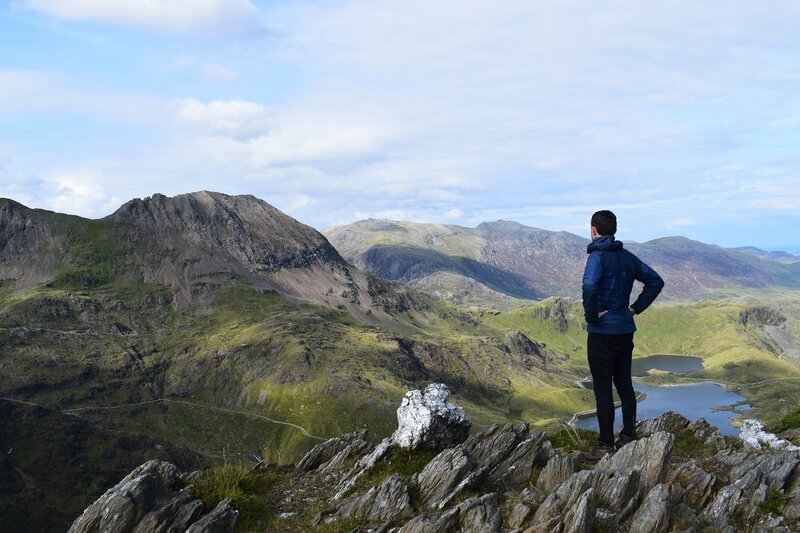 It doesn’t have to be of the scale and duration of James’s adventure – it could be a one-hit mountain outing like the Yorkshire Three Peaks or the Welsh 3000s, or one of the other classic walking challenges described here. It doesn’t have to be in the mountains either, or even in the outdoors – many of us merge our love of the hills with the likes of road cycling, race running or indoor climbing. All of these can be a basis for fundraising. We know of a group of friends who are planning to climb the height of Everest (a common benchmark, it seems…) in their local climbing wall to raise cash for Cader Idris. Undeterred by the 10 metre height of the wall, the group are planning a combined 885 climbs to make the ‘summit’. If you have any ideas, let us know by emailing the Mend Our Mountains team at carey [at] thebmc.co.uk. We’d love to hear about what you’re planning as spring and summer approaches. WATCH: Why support Mend Our Mountains: Make One Million?